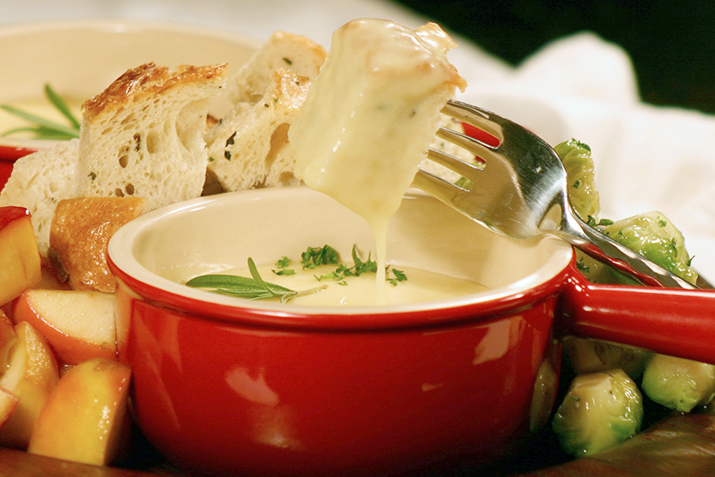 Fondue is a special and delicious way to start a meal. Don't have a fondue pot? No problem. Just use individual ramekins as serving dishes. Dredge the cheeses in the flour. Place the wine and the shallots in a heavy pot over medium heat and bring to a light simmer. Stir in the cheese a little at a time until the mixture is smooth and all of the cheese is melted. Add the remaining ingredients and transfer to a fondue pot or individual stoneware ramekins.